The book employs an original structure which will be a huge help to both students and general readers seeking to understand the topic. 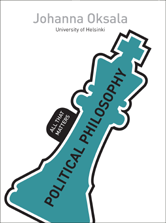 Each chapter, which moves chronologically from antiquity to the twentieth century, focuses on selected classic texts in political philosophy, which are briefly introduced and analysed. The texts then function as a springboard for a discussion of central contemporary issues in political philosophy. Introduction: What is political philosophy?